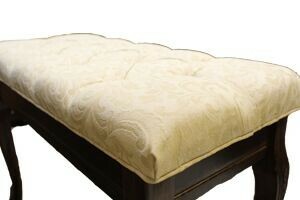 Duet Sized Custom Tufted Upholstered Bench - Made in USA is rated 0.00 out of 5 based on 0 ratings. Build a bench to suit your taste and to reflect the surroundings unique to your home. 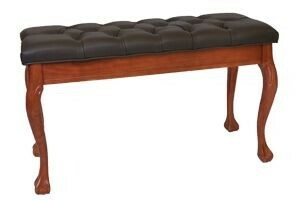 Our Duet Sized Custom Tufted Upholstered Bench provides a supple seating experience that will last for years and look elegant everyday. Each bench is made to order. Fine details and immaculate craftsmanship take time, so please plan on a two to three week wait for delivery.